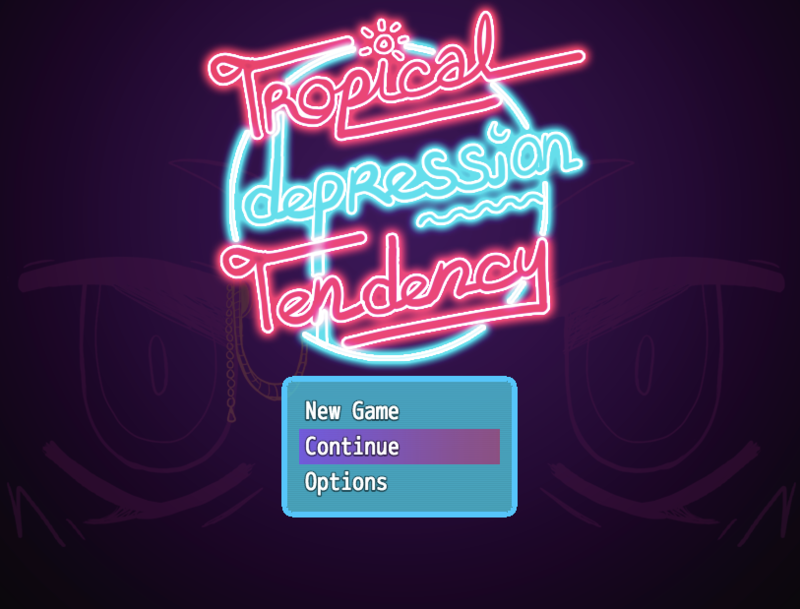 finally, the first part of tropical depression tendency is available for download! i've put a lot of love into this game so far, as small and imperfect as it is, to try to work through my past traumas in an effort to become a less burdened person. i've put the game up as free to play -- donations suggested only -- in hopes that it will be easier for others to experience it (and hopefully enjoy it!) without a price attached. this is v1.0, if you find any bugs or get stuck feel free to comment, message me on twitter (@DELTAHEAD_), or email me at d.d.deltahead@gmail.com. that being said, thank you for following the project thus far, and i will keep you updated on part 2!